The Ferguson Act of 1898 was the starting brick of what is now Miners’ Colfax Medical Center. Congress granted more than 5 million acres of public land to the Territory of New Mexico to provide revenue for territorial institutions under the act. Immediately following the opening of Miners’ hospital it was realized that two floors of the hospital would be filled and so a request was made to the Territory for assistance to furnish the third floor. With the approval of the Board of Trustees a committee of two consisting of Mrs. J. Van Houten and Dr. A.R. Streicher traveled to Santa Fe during the legislative session to request money to furnish and maintain the hospital for the next two years. The hospital continued to grow at an incredible rate adding a south wing in 1908 and by 1911 construction was completed on a north wing with one suite of rooms with bath. With the expansion of the building, fees for paying patients occupying rooms were set as follows – Elks room $25.00, Continental Tie and Timber Co. $25.00, First National Bank Room $25.00, Mendelson Room $21.00, all back rooms in the south wing $15.00, and the maternity room $25.00. Rooms now known as Hobbs Hardward Co. Room and Fugate Frost Furniture Co. room $15.00. No person should engage in the service of the Hospital who is not willing to exercise all the time, talent, and efforts in the discharge of his or her duties. Those employed will learn that character, proper deportment, and faithfulness to duty alone keep them in the situations in which they are placed. The institution will deal in strict good faith with its employees and will as far as practicable, promote their true interest. The first couple of years was a rather quiet and smooth “settling in” period for the Hospital. 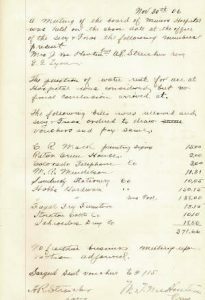 Then in 1917 it came to the attention of the Board of Trustees that the “inmates” (as they were referred to) of the hospital were in the habit of getting intoxicating liquors in the City of Raton. A committee was formed to wait in the city council for the purpose of getting the assistance of the city officials in advising ways and means to do away with the troubles being caused.” An admitting policy was established to help the hospital deal with residents and situations that may arise. July 13, 1918 with an epidemic of Tuberculosis, Governor W.E. Lindsay sent a letter to Miners’ hospital requesting the use of the second floor of the hospital for treatemtn of Tubercular soldiers. 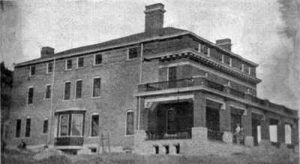 Although soldiers were never sent in December an application was made to the governor for the following appropriations: Tubercular hospital $16,000.00; repairs to the main building: $1,500.00; new boiler room to be built outside for the present building and $10,000.00 for maintenance. Along with the rest of the country by the late 1920’s Miners’ Hospital began to feel financial hardship brought about because of the great depression. In order to try and meet the demands of running the hospital the position of the office of Superintendent of the hospital was abolished along with the salary of the man who cared for the chickens. A loan had to be taken at the bank in Raton in the name of the Board of Trustees for enough money to pay all the bills and salaries. Changes were occurring throughout the organization and to provide a more uniformed approach to medicine, the first medical staff bylaws were introduced. The object of the organization is to stimulate a more systematic cooperation between the medical profession and the management of the hospital, so as to promote improved provision for the care and comfort of the sick, to the end that greater efficiency and more intelligent treatment may be accorded the patients. 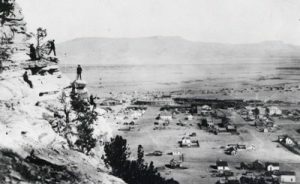 With the New Mexico Militia stationed in Raton to take care of “State Matters” Dr. H. W. Heymann, medical officer of the militia requested the aid of Miners’ Hospital in treating any members who might become sick or disabled while on duty at no charge. 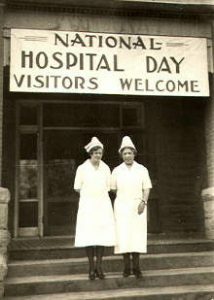 Proud to show off the accomplishments of Miners’ Hospital, a National Hospital Day celebration was held May 12th, 1939. This proved to be a great success with Governor John Z. Miles, Mrs. Miles and son being present int he evening. Governor Miles made a brief speech, and there were several speeches by others. Approximately 1,000 guests visited during the open house hours and a Works Project Administration (WPA) program was approved to construct an annex to the hospital at a cost of $41,200.00. During the 1940’s Miners’ Hospital continued to thrive and evolve into a caring atmosphere that would draw miners’ from all over New Mexico to be admitted as residents. 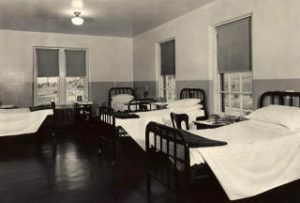 The 1950’s brought forth many changes for the hospital with the nursing living quarters being built which would enable nurses living quarters being built which would enable nurses to live on the premises for $45.00 a month, which covered their room and board expenses. Also the new surgical wing was officially dedicated in October 1955 to Mrs. 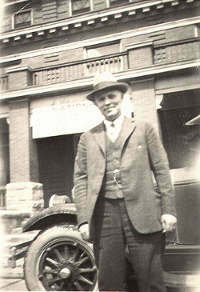 Berth a Parrish Elliott who was the Superintendent of Miners’ Hospital from 1921-1947. This wing was contracted for $174,000.00 and included the following: a major and minor operating room and an autoclaving room with the latest equipment. 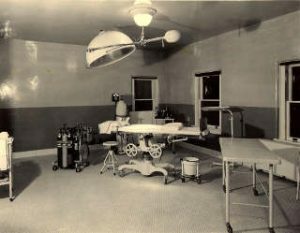 It also had a doctor’s room with the latest patient rooms featuring air conditioning and piped in oxygen. By July of 1956 Miners’ Hospital was a 93-bed hospital having 41 beds for the Miners and 52 beds for pay patients. There were 74 employees with a payroll of about $145,000.00 per year. Annual budget was $335,519.00. Proposed operating expenses were $299,769.00 and $35,750.00 for capital outlay. 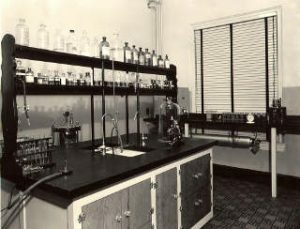 To add the achievements that were made in the 1950’s the hospital received a certificate of accreditation form the Joint Commission, opened the coffee shop for business and had Dr. Elliott, a much admired and respected physician, return to the medical staff. The 1960’s were the beginning of a long and unstable period for Miners’ Hospital. The Governor’s Interinstitutional Advisory Council met with the Administration of Miners’ Hospital to discuss the phasing out of general patients with the upcoming construction of a new hospital. Trouble for the hospital began in 1968 when during his administration, Governor David Cargo consolidated all of the state medical facilities under a new branch, the Department of Hospitals and Institutions. The following year this new branch closed the Miners’ Hospital Trust account and comingled its funds with the other hospitals under this branch. From 1968 until March of 1974 Miners’ Hospital was operated under the Department of Hospitals and Institutions. At first it appeared that the hospital would be closed down but UMWA local 7949 President Nick Halamandaris in 1971 contended the Miners’ Hospital was for the benefit of the Miners and questioned the State of New Mexico trying to close the institution. Since 1970 the state had used Miners’ Hospital trust fund money to pay for Miners’ treatment at other DHI institutions. However, the court ordered this money repaid to the trust. In 1971, Miners’ Hospital lost its accreditation and became and intermediate care facility and a nursing home. DHI removed equipment from the hospital and donated it to other institutions. To fulfill the mandate of of providing medical care to the state’s miners, DHI simply sent them to other institutions and paid their bills out of Miners’ trust funds. A group of Raton citizens, miners and others, sued the state over what it believed was a breach of federal trust. The United Mine Workers of America lent its help to the action which was successful. On August 29, 1974 the Raton Daily Range stated that in the 1975 legislative session, the State will be asked to appropriate 1.2 to 1.7 million dollars to repay the Miners’ Hospital Trust fund money illegally commingled and spent since 1968. Governor Jerry Apodaca restored the independent governing board to Miners’ and the hospital was removed from under the Department of Hospitals and Institutions. Finally, the federal government filed suit and in 1974, the judge ruled that the trust funds had to be returned and not ever removed again. His ruling further implied that Miners’ with the expenditure of at least $1,000,000 for improvements, could again become a “real” hospital and could accept private patients, as long as they paid their own way. A licensed 10 bed general hospital opened at the Miners’ facility in 1979. A Miners’ Board interpretation of the rulings with the apparent concurrence of Judge Bratten later led to private care patients being admitted once again to Miners’. 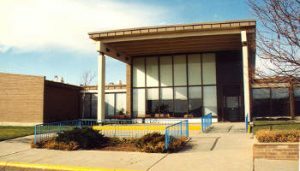 Concurrent with the above, Northern Colfax County Hospital opened its doors on November 17th, 1970 to a crowd of approximately 1,800. The new hospital was a result of the support of Colfax County residents who, in 1967, approved an $800,000 bond issue for its construction. With an additional $825,000 in Hill Burton funds and $200,000 in economic funds and $200,000 in economic development administration funds, through the Four Corners Commission, it was completed. About $200,000 in equipment was installed in the hospital. Throughout the 1970’s Raton became home to two hospitals but it soon became apparent that the populations of Raton and Colfax County could not support the operations of two facilities. In July of 1982 Governor Bruce King met with members of the Colfax County Commission, the Northern Colfax County Hospital Board and Miners’ Hospital to discuss the survival of both hospitals. After many years of negotiation in 1984 Governor Toney Anaya stated, “…there is no justification for continuing two acute care facilities in Colfax County, and I have come to the conclusion that both the mission of Miners’ Hospital and the health needs of the residents of Colfax County will be advanced by reaching a resolution of this long standing problem.” Plans for the merger called for all acute care services to be housed in the more modern 48 bed NCCH building at the south edge of Raton. At Miners’ 80 year old building about 2 1/2 miles away in a residential section of the city, medical services could concentrate on meeting health care needs of miners. At that time Miners’ was licensed for 10 acute beds, 27 long term care beds, and 17 nursing home shelter beds. 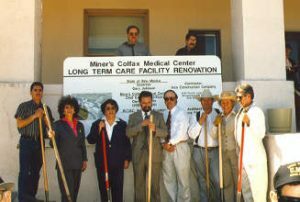 On December 1, 1986 the Colfax County commissioners signed the last of a series of agreements that leased the facility that used to be Northern Colfax County hospital to the state board overseeing Miners’ Hospital of New Mexico, thus creating Miners’ Colfax Medical Center (MCMC). With its new mission to become the leader in healthcare by providing quality Acute Care, Long Term Care, and related services for the beneficiaries of the Miners’ Trust of New Mexico and the people of the region, Miners’ Colfax Medical Center started to evolve. The implementation of an outpatient cancer treatment center along with the establishment of a Veteran Administration outpatient clinic were major steps towards the mission. Throughout the 1990’s MCMC followed healthcare trends by adding more outpatient clinics. 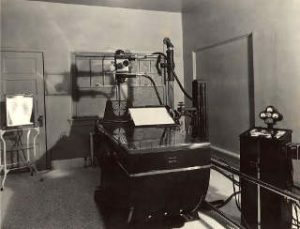 In 1990 an outpatient urology clinic was started along with a joint venture with Colfax County and Miners’ Colfax Medical Center to build an estimated $500,000 imaging center to house a CT scanner and the hospital’s nuclear gamma camera. Keeping the mission in mind to provide services to the people of the region, MCMC opened a healthcare clinic in Springer. It was also realized in the early 1990’s that the original Miners’ Hospital was in much need of some repair and in February of 1993 Representative Jose Abeyta introduced legislation requesting the State to appropriate $6 million from the Miners’ Trust Fund for renovation of the Long Term Care facility. In 1995 Raton native, Richard Pfiffer was hired as project manager for the MCMC LTC renovation. The project’s vision statement established by MCMC’s personnel, architects and engineers calls for the renovation “to create, restore, and modernize” the 90 year old building to serve its patients “in a comforting and healing environment. On April 1, 1996 a crowd of staff, Board Members, State and local dignitaries cheered as the ground breaking ceremony commenced. It was a year and a half of dedicated work by staff and builders working in conditions that were at times quite challenging to be able to offer the residents of Miners’ Hospital the perfect Christmas present. On December 24th of 1997 residents were able to move back into their newly remodeled rooms. As our first century came to a close, Miners’ Colfax Medical Center had seen many changes and yet continued to strive to meet the needs of its community. One example, the MCMC Auxiliary house opened to great fanfare. The once old nursing quarters of Miners’ Hospital was remodeled in order to create a home that could be used by out of town family members visiting residents, housing needed for family of hospital patients, accommodations of visiting physicians or staff for recruitment. Further, one of our own was honored nearly 60 years after World War II. Dr. Francis Visconti received the Bronze Star for his service during the war. 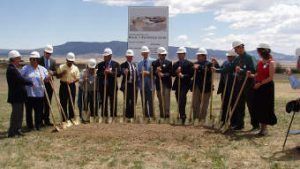 In anticipation of commencing its 2nd century of service, Miners’ Colfax Medical Center, it’s staff along with federal, state, county, city officials, and community members took part in a ceremonial groundbreaking as the first milestone toward construction of a new acute care facility. New Mexico State Representative Hector Balderas, Thomas Garcia, Deputy District Director for US Representative Tom Udall, Miguel Suazo, Field Representative for US Senator Jeff Bingamen, Patrick Lyons, New Mexico State Land Commissioner, Mayor Joe Apache and S. Victor Savino, MD were speakers in support of the $20 million dollar project. The MCMC acute care facility was approximately 50,000 square feet. The new construction designed by Hartman & Majewski, Design Group of Albuquerque, was 72,000 square feet, increasing patient room size, operating suite size, and significantly improving flow of patient services. Robins and Morton of Brentwood, Tennessee was selected as Construction Manager. The new building was completed in 2007? Because of the Miners’ Trust Fund and our dedication to the mining industry from our inception, MCMC is proud to share these photos from mining towns and camps from the 1800’s. Enjoy. These photos will return shortly.